The Ned Smith Center for Nature & Art in Millersburg, PA has an exhibit (through September 1, 2013) of the work of Bob Hines, America’s National Wildlife Artist who oversaw the federal Duck Stamp program for more than 30 years. The exhibit includes material from the archives of the U.S. 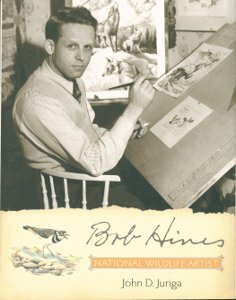 Fish and Wildlife Service and the National Conservation Training Center, as well as private collections, notably that of Hines biographer John Juriga, whose book Bob Hines: National Wildlife Artist is available from the APRL. Juriga used the APRL in researching his book.